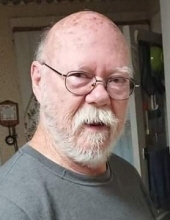 Richard Dewayne “Rick” Smith, age 68 of Louisville, passed away on Tuesday, February 5, 2019 at home. Born May 5, 1951 in Fort Payne, Alabama, he was the son of Calvin Coolidge Smith and Lois (Rogers) King. Rick retired after 23 years of service to the U.S. Navy where he worked as a submarine repairman. While in the Navy, he invented a portable milling machine. After the service, Rick worked for Stamler Machine Company as a machinist and had perfect attendance all 8 years there. Rick enjoyed building computers, putting together fish tanks, making furniture and other wood projects. He enjoyed Tech Toys and could build anything. Rick also loved spending time with his grandkids. He is survived by his son, Darryl (Stephanie) Smith of Glasgow, Scotland; brothers, James (Lori) King, Jeff Smith, Mark Smith, and Chris Smith; former wife, Sandra Morton whom he married in 1989 and was engaged to marry again. Rick also leaves behind three grandchildren, Darryl, Josh and Sophia; nieces and nephews, Alena Pronovost, A.J. Spencer and Alyssa King; and the black cat that he fed and took care of even though denying it. Rick was preceded in death by his parents; his first wife, Yvonne Smith who passed in 1986; daughter, Julie E. Smith and two sisters, Cathy and Caroline Smith. To send flowers or a remembrance gift to the family of Richard Dewayne "Rick" Smith, please visit our Tribute Store. "Email Address" would like to share the life celebration of Richard Dewayne "Rick" Smith. Click on the "link" to go to share a favorite memory or leave a condolence message for the family.